Last year saw a massive uptick in public cloud adoption within companies and the technological disruption of many traditional, established businesses. We see clients every day overcome by regulatory compliance considerations, security concerns, stacked up operational and technical debt not to mention countless other complex IT challenges. This is forcing many to rapidly move out of traditional models of maintaining their own private IT infrastructure and applications internally to finding cloud based alternatives in order to gain efficiency needed to keep up. Organizations are more frequently than ever looking at their business problems through the lens of the cloud and are beginning to understand the promise and accompanying value, finally prepared to accept change. From where we sit, adoption is widespread and it's across the board in every vertical and every size of customer. What we see time and again is that as attempts are made to transition to cloud services, legacy infrastructure pieces which are key to supporting cloud efforts like connectivity and security are neglected. With comprehensively managed network services like those that WAN Dynamics provides (SD-WAN, firewall, etc), we were able to assist many to get back on track to accomplish what started their cloud ambitions in the first place: Providing greater agility and value to their core business by enabling cloud adoption. We are firm believers in the cloud but in order to host services there, the infrastructure needs to be ready for it. It was a great year of discovery, education and growth along side our clients helping them solve so many of these new challenges as we go. The pent up demand to solve problems of leveraging hybrid WAN connectivity options coupled with SD-WAN has been akin to a tidal wave. Most businesses are facing the same issues around intelligently using available connectivity in an active and dynamic capacity, addressing bandwidth quality problems over paths on the fly, seamless failover and truly uniform, holistic visibility and management of the network. Customers we meet with have heard of SD-WAN, understand the key value proposition and know that it is something requiring further exploration. As it becomes mainstream and starts to replace older WANs, we seeing a bit of backlash from the legacy vendors and service providers unable to adapt or find ways to replace shrinking revenue streams from selling and supporting legacy WANs. SD-WAN works in conjunction with a multitude of connectivity options, even L3 VPN/MPLS so for those that wish to hang onto their traditional L3VPN WAN to use with SD-WAN, they can. That said, we find most SD-WAN deployments will take advantage of the direct connectivity over Dedicated Internet Access (DIA) and Broadband and will displace MPLS connections. This will aid in better management of cloud connectivity for the organization with local Internet breakout at locations which require it. Also of significance is the emerging trends around managing unified network policy within datacenter, cloud and WAN. Networking vendors across the board are working out "Multi-Cloud" strategies to cohesively stitch together all of these environments. Doing so will be key to scale as fragmentation of point solutions become exacerbated by maintaining many different types of infrastructure. Let's also not discount security's role. With so many emerging threats coming at us daily and regulations such as General Data Protection Regulation (GDPR), security is top of mind for many in IT so watch for the cloud and premises based security integrations with the network to mount. There will be many new offerings deployed with "service chaining" which can make tie network elements together in different places be it onsite, potentially as a virtual network function (VNF) or virtual machine running on a general purpose x86 network appliance or even tunneled to a cloud service, making things dynamic and scalable. Most security offerings are pivoting to accommodate cloud, so if a company has a centralized or already well defined security posture which they would like to maintain, vendors are making it easier to do so and easily integrate. 2018 will mark a year of growth in the networking industry that has not been seen in some time. 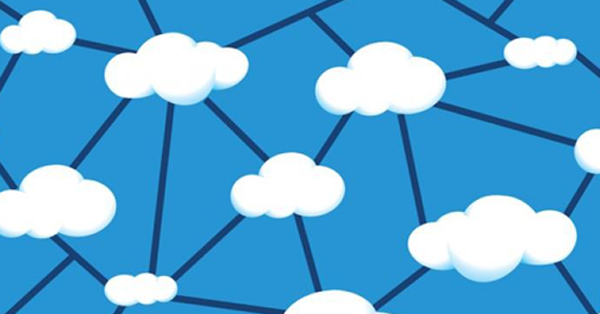 Rapid mainstream adoption of SD-WAN and cloud connectivity options will continue and it will become a core element for network designs from here on out. Those exploring a network refresh without considering the impact of the cloud are doing themselves and their business a disservice. We are looking forward to all of the new applications and opportunities we expect to be a part of!